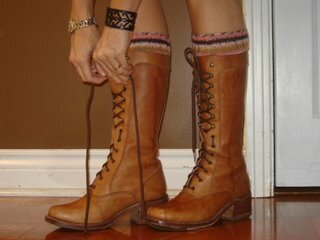 FriendSheep: It's still a knitting blog after all! That's a very weird but pleasant feeling. ^^ I try not to judge every line and splash of paint I place on the canvas, just go with the flow and add more and more colours and textures. I am about half way down and I'll show you the final result as well as the in between stages soon. It's a birthday present for my best friend Anna (her birthday is on Sunday), and I have some patterns to add, some words, and a coat of varnish. Keep your fingers crossed because varnish is the stage I'm unsure of, I've never ever used it!... I bought an acrylic varnish but I'm using acrylic paints plus watercolour crayons and glued scraps in my painting, so I did some tests on those other media and it seemed to work fine. But you know, I'm a bit worried about putting it on my finished painting, I'd be most unhappy if the varnish destroyed several days of my work. I also bought another plastic container because it seems my art supplies are multiplying. 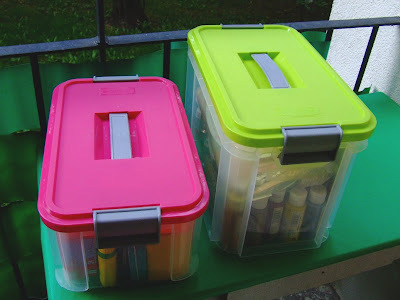 ^^ The bigger one is for all the paints (watercolours, acrylics, temperas, oils and others), the smaller one for the crayons/pastels/pencils and office supplies. It's a Czech yarn, 100% soft wool. At first I wanted to use it for the Starsky cardigan. 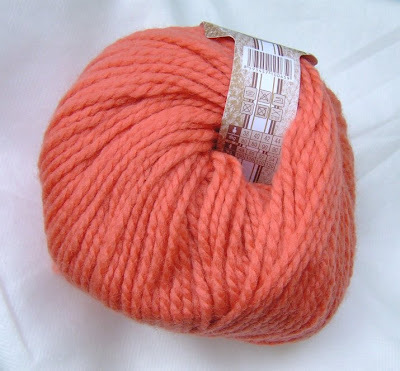 But then I had doubts about this pattern in this colour and in my mind I saw that coral wool turned into some chunky cables. So, I'm knitting something similar to Starsky, but with cables! ^^ More to come. oooh! a secret stole knitalong! that will be fun to watch unfold. Hooray on winning the watercolors! Should make for many more pretty journal pages. 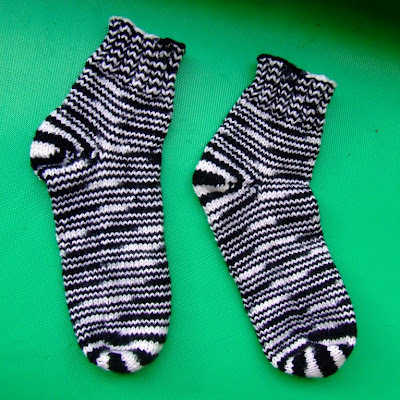 The zebra socks are so fun and the coral yarn looks scrumptious. 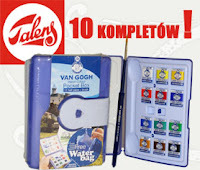 Congrats on winning the watercolors. you have been busy!! sometimes its good to do different things so you don't get burned out on the one. I am happy seeing all your projects knitting or not. 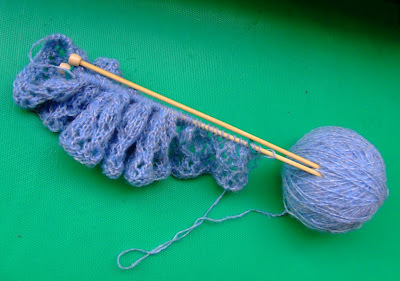 i like the color you are using for your stole-i haven't started mine yet.